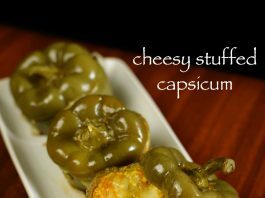 stuffed capsicum recipe | bharwa shimla mirch | bharleli shimla mirch recipe with detailed photo and video recipe. a lip smacking snack served as starters or appetiser recipe ideal for parties or for surprise guests. 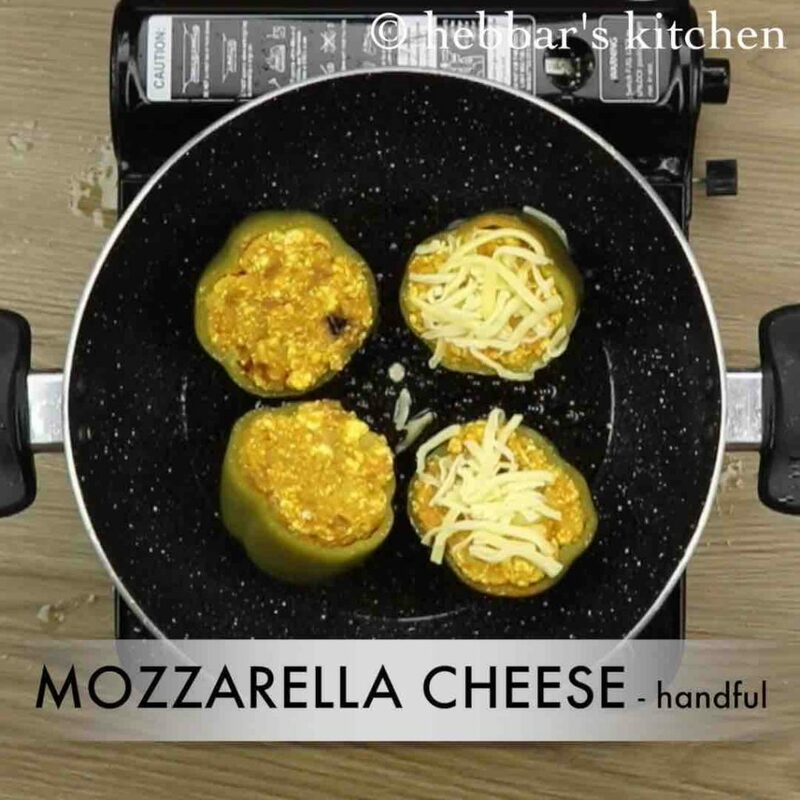 basically green or any coloured bell peppers are stuffed with paneer, aloo and other dry spices which is later topped with mozzarella cheese. 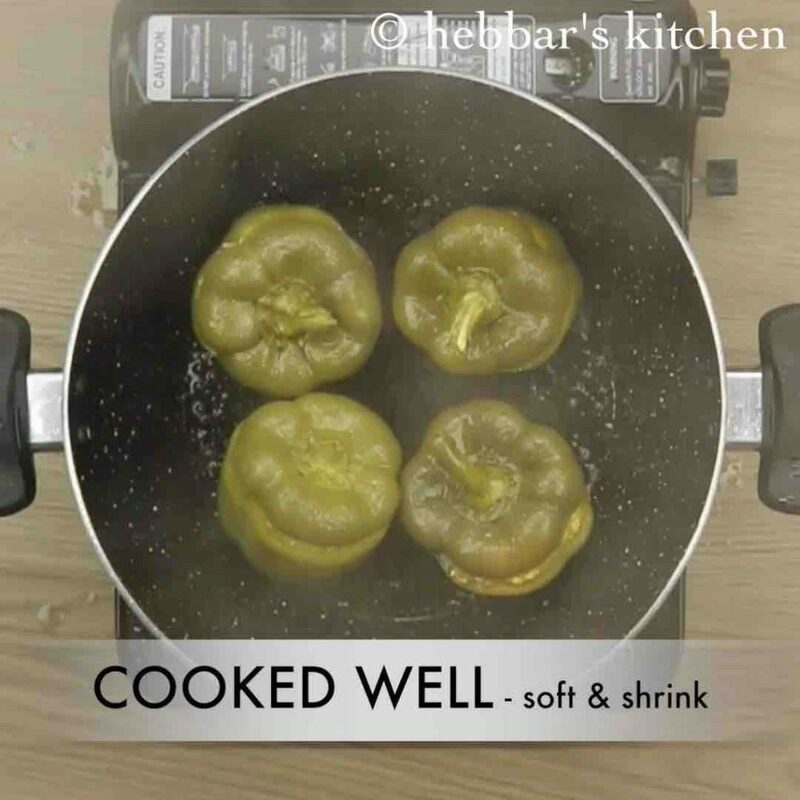 stuffed capsicum recipe | bharwa shimla mirch | bharleli shimla mirch recipe with step by step photo and video recipe. traditionally stuffed bell peppers are spanish cuisine delicacy which is served basically with cheese topping. 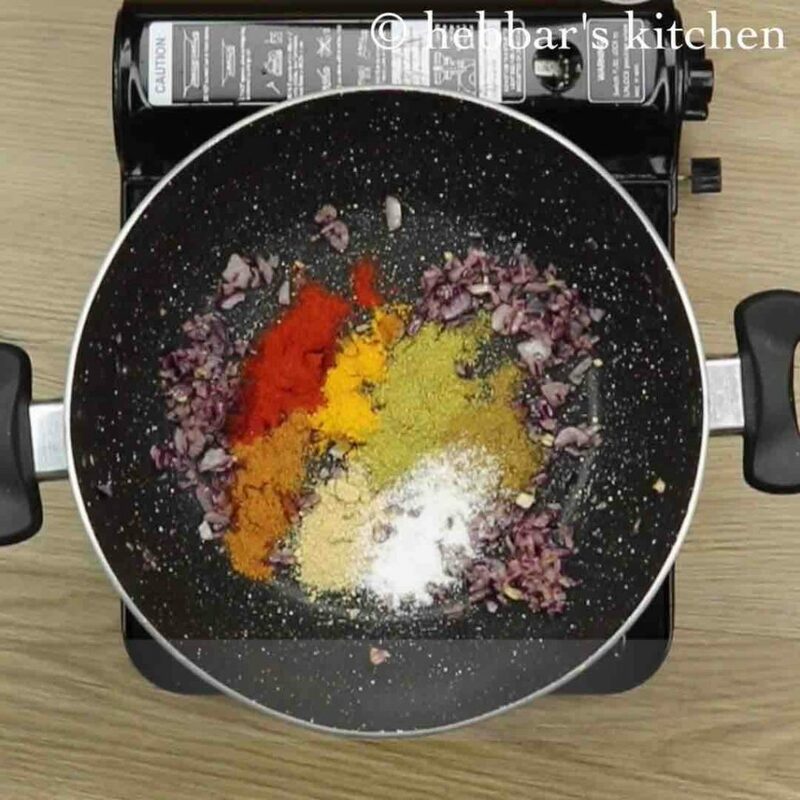 however this recipe is a fusion recipe of with a indian touch and indian spices. while the stuffing can vary from region to region and it can be extended with meat or egg but this recipe is pure vegetarian with veggies stuffing. there are several variations to the bharwa shimla mirch recipe and it can prepared as either snack or as a curry. i have not tried the curry recipe personally but i guess it should even taste amazing. basically the bharleli shimla mirch curry would follow the same procedure till stuffing but would be cooked in a onion and tomato based sauce. also adding cheese is optional and if you feel it is heavy, you can completely ignore it. 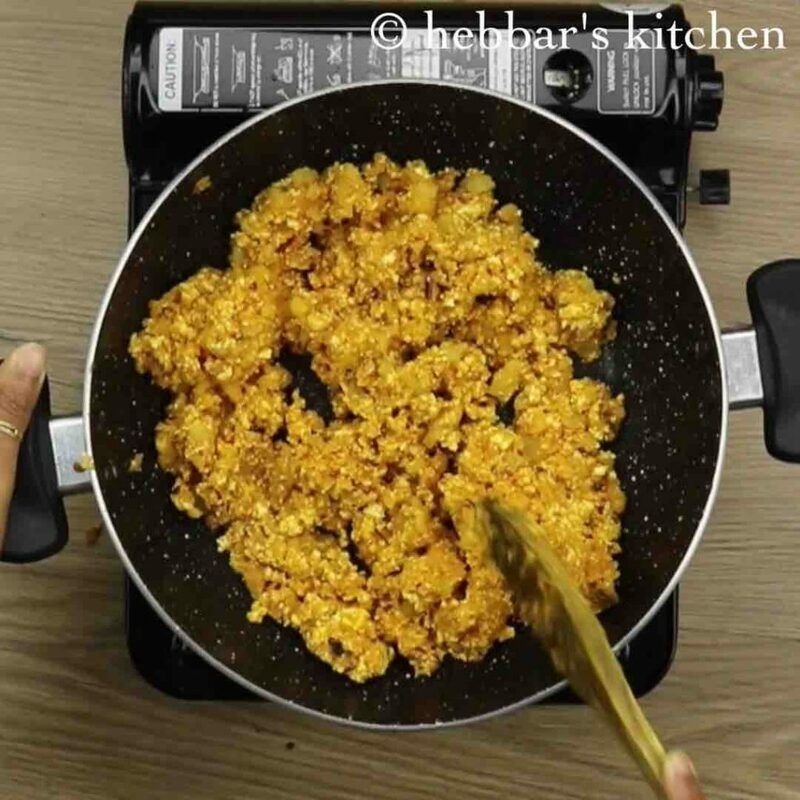 further, the same recipe can also be prepared with green chillies too. 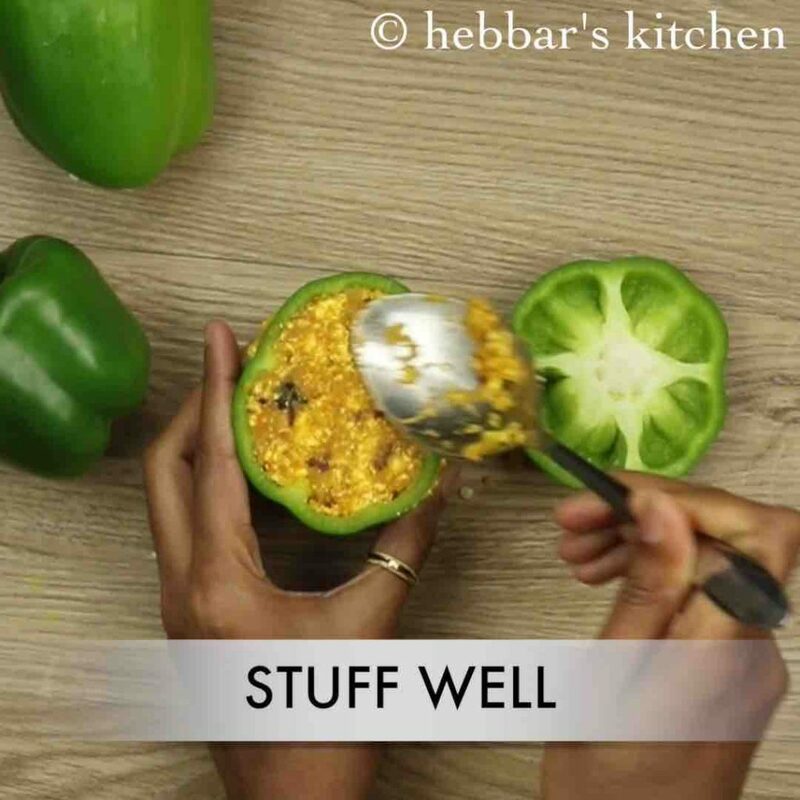 in other words, use the same stuffing and stuff it mirchi bajji with besan coating and deep fry it till crisp. 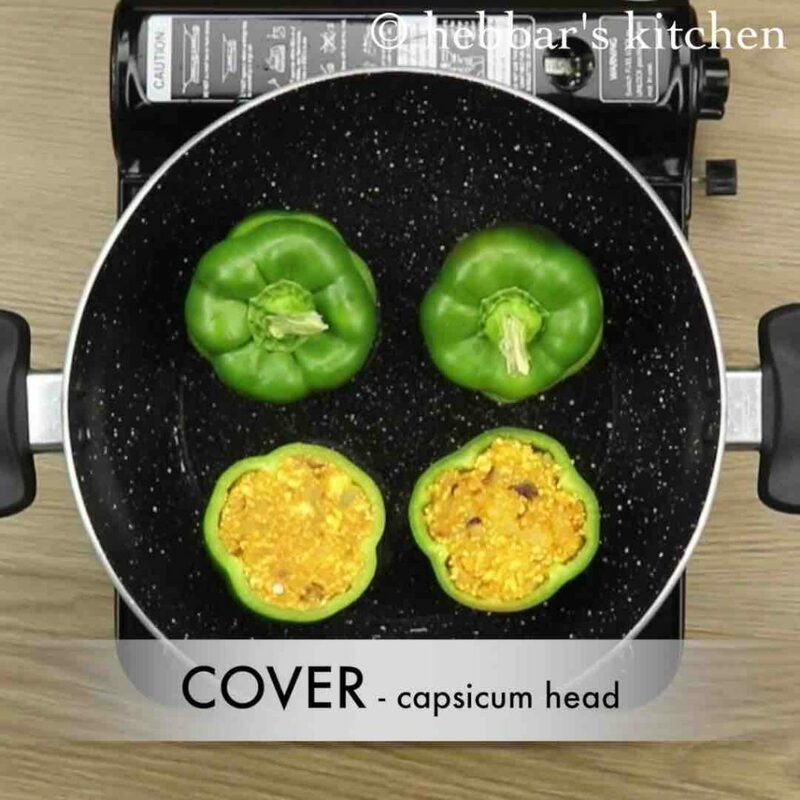 while the recipe of stuffed capsicum is extremely simple, i would like to share few tips and variations to it. firstly, i have used green capsicum in this recipe, however you can also use red and yellow capsicum too. secondly, i have slit the capsicum at the top to make a cavity for stuffing. but you can also vertically slit the capsicum to 2 halves and then stuff it individually. lastly, i have used the tawa to cook the stuffed capsicum with very little oil at the bottom. alternatively, it can also be baked in oven or convection microwave at 180 degree celsius for 40 minutes. 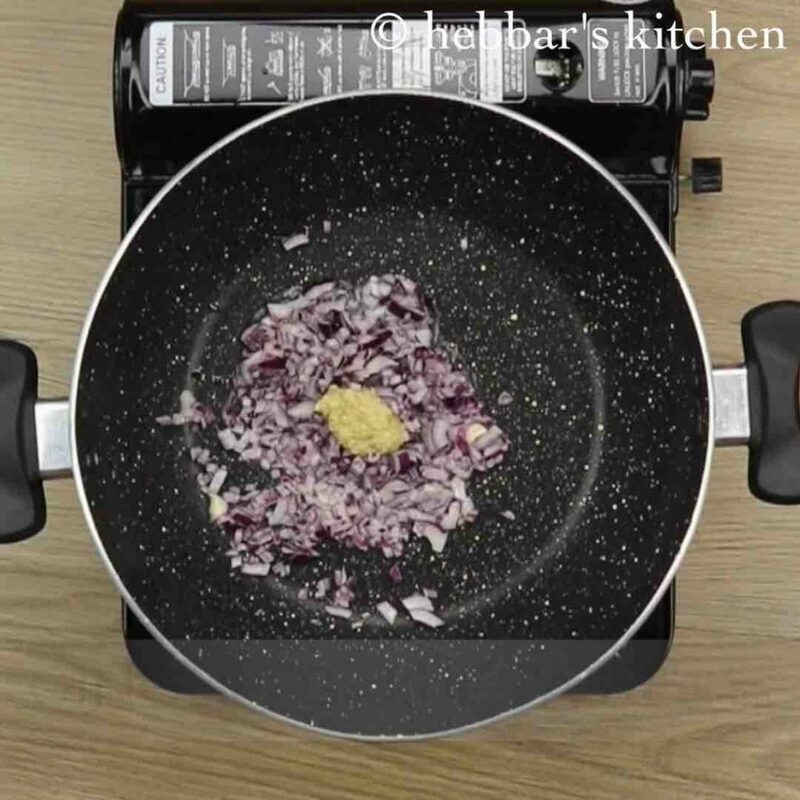 firstly, prepare the stuffing by sauting onions and ginger-garlic paste in oil. further add spices and salt. additionally, add boiled potato and crumbled paneer. mix well till the spices are mixed well. keep aside. 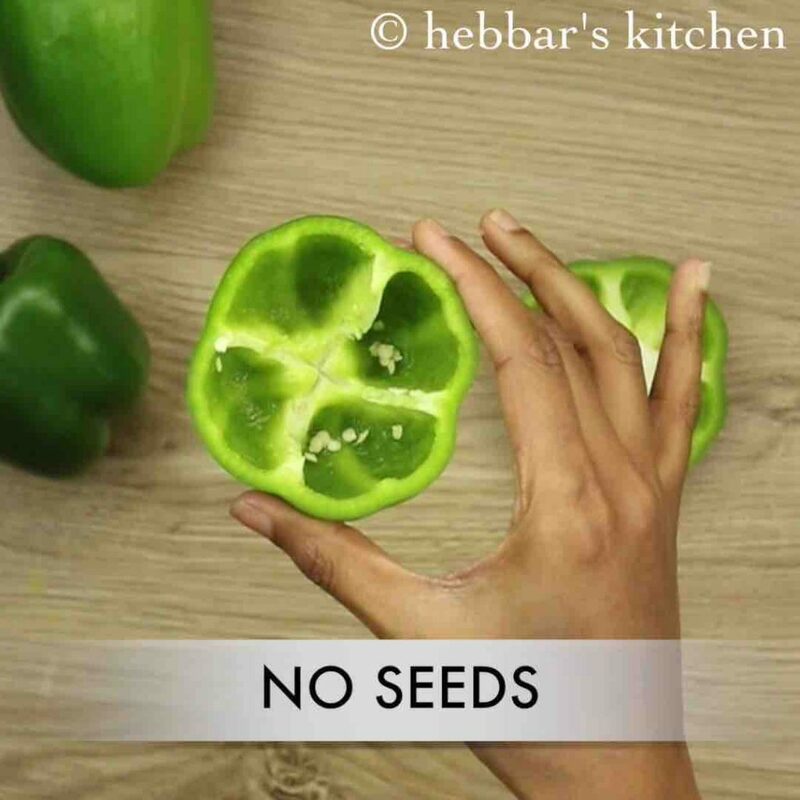 prepare the capsicum, by cutting the head and removing the seeds. now stuff 2 tbsp of prepared masala. place them on kadai with 3 tbsp oil. also cover with capsicum head. 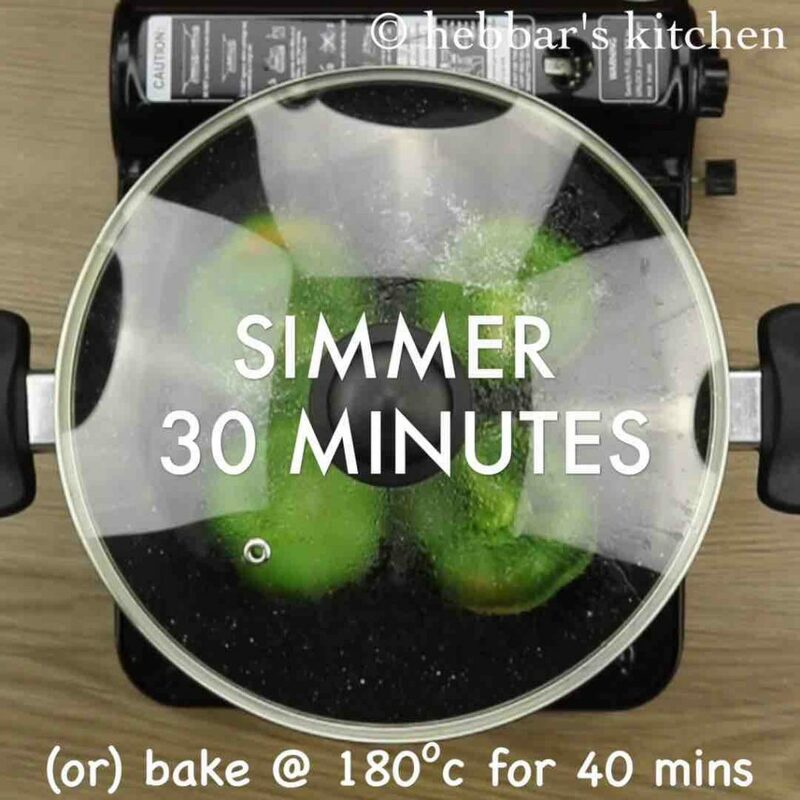 cover and simmer for 30 minutes or bake at 180 degree celsius for 40 minutes. cook the capsicum well or till they change in colour and also softened and shrinks little. now take off the head and keep aside. 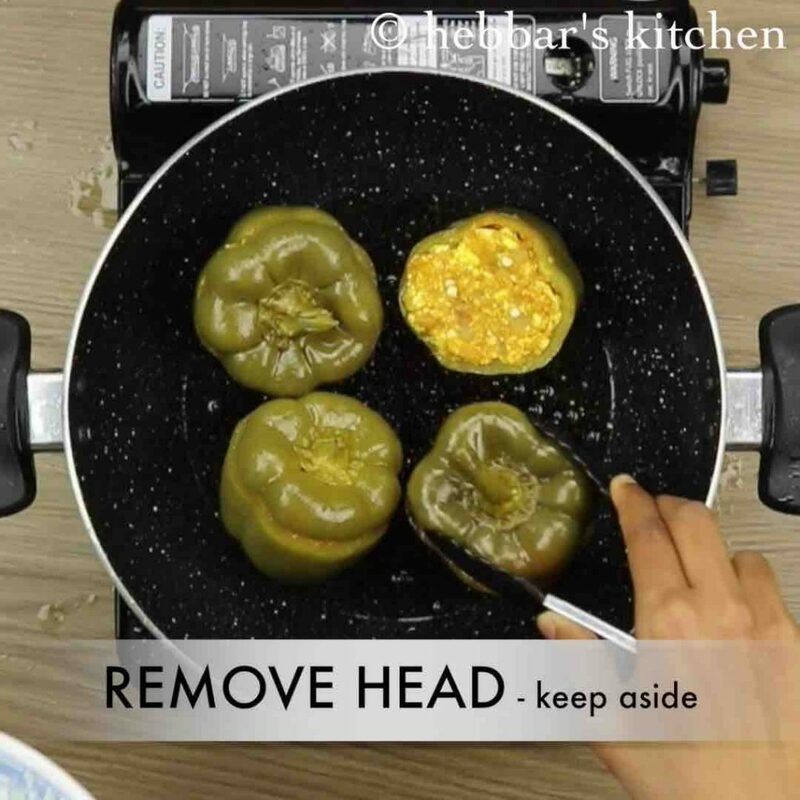 garnish with few mozzarella cheese and place the head of capsicum again. 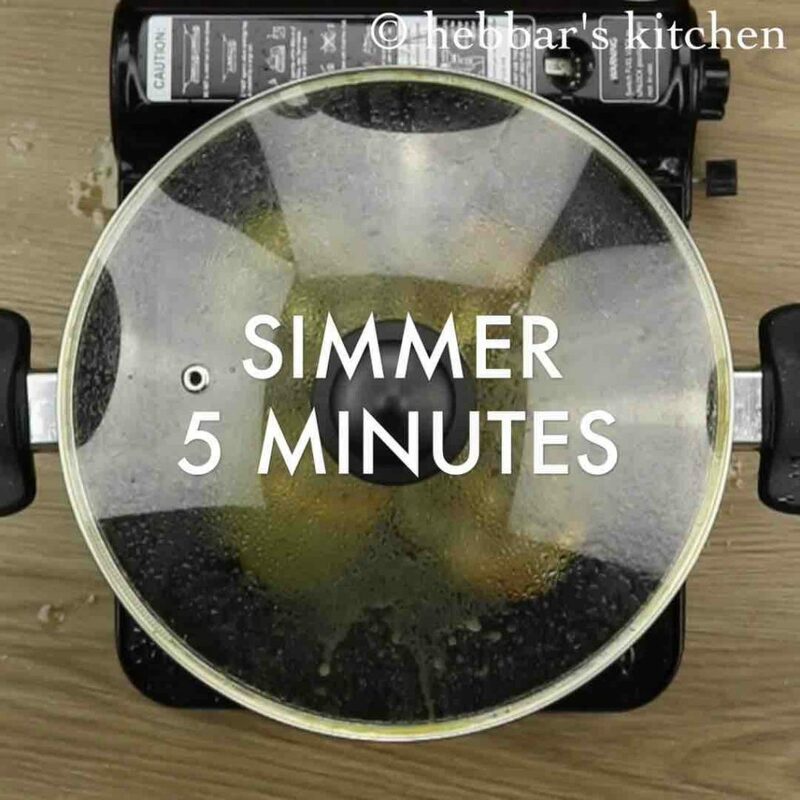 cover and simmer for 5 minutes or till the cheese melts completely. 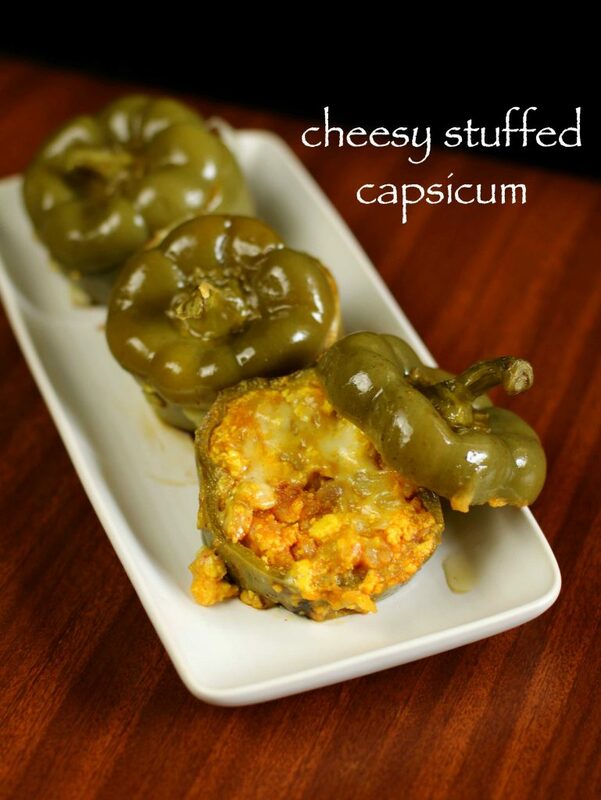 finally, serve cheesy stuffed capsicum along with rice or roti. 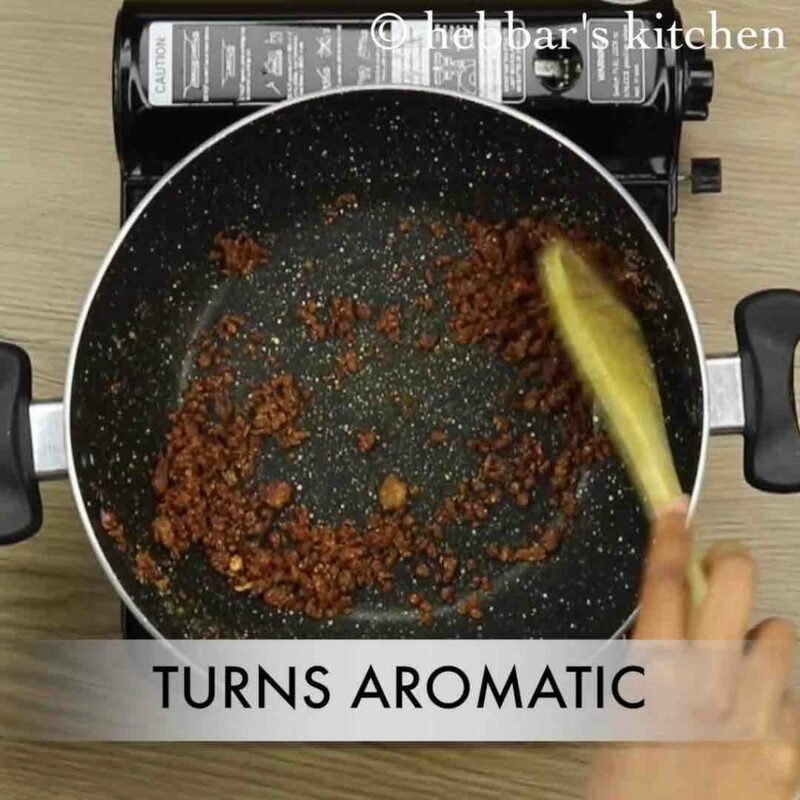 further add ½ tsp red chilli powder, ¼ tsp turmeric, ¾ tsp coriander powder, ¼ tsp cumin powder, ¼ tsp garam masala powder, ½ tsp aamchur powder and salt to taste. 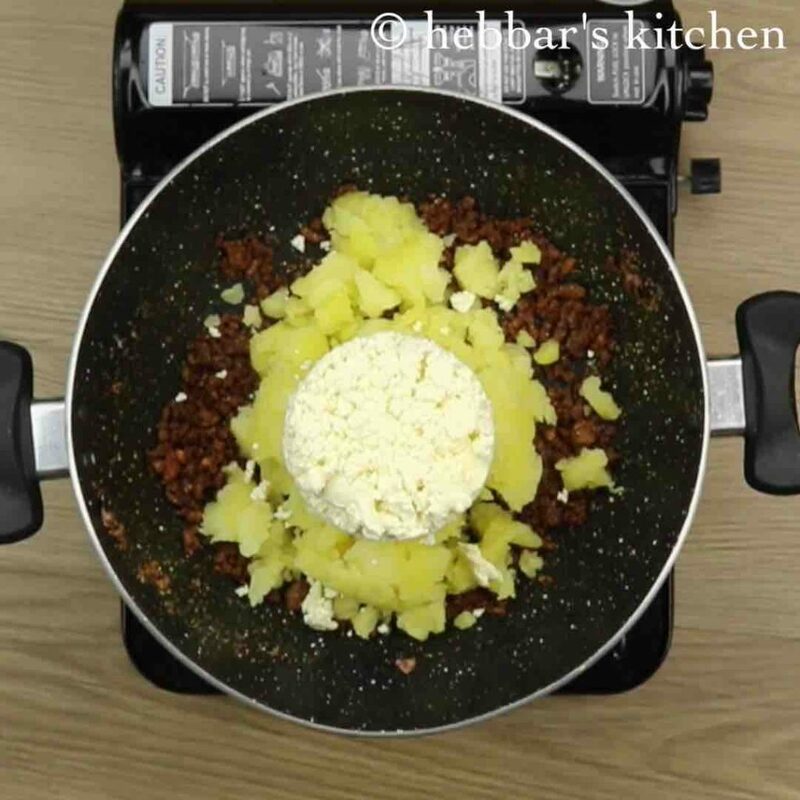 additionally, add 2 boiled and mashed potato, 1 cup crumbled paneer. firstly, use small sized and fresh capsicum, as they take less time to cook. also adding cheese is optional, however enhances the taste. 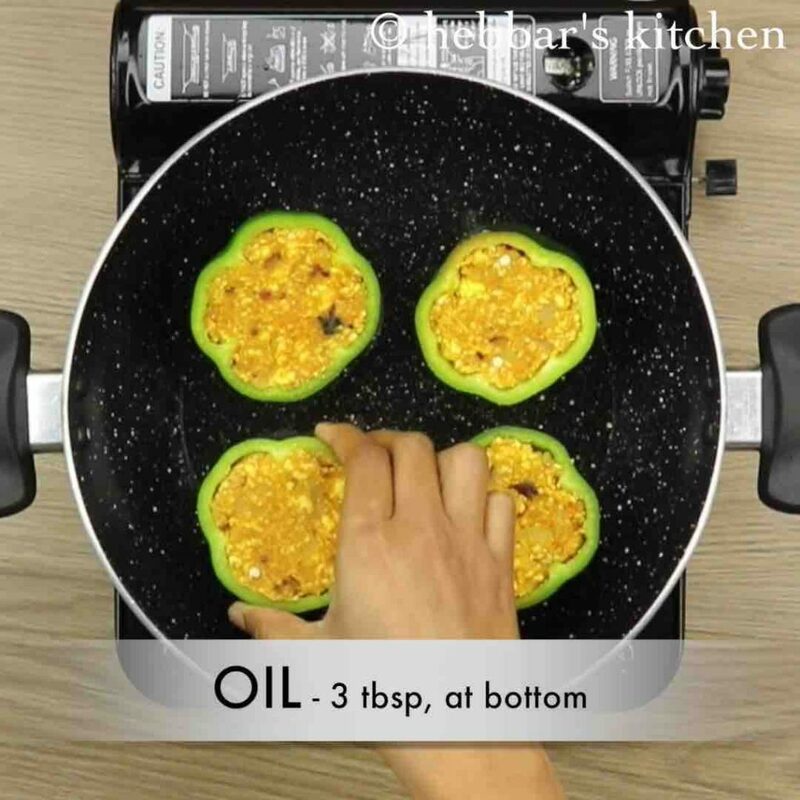 alternatively, bake at 180 degree celsius for 40 minutes by brushing oil to capsicum. 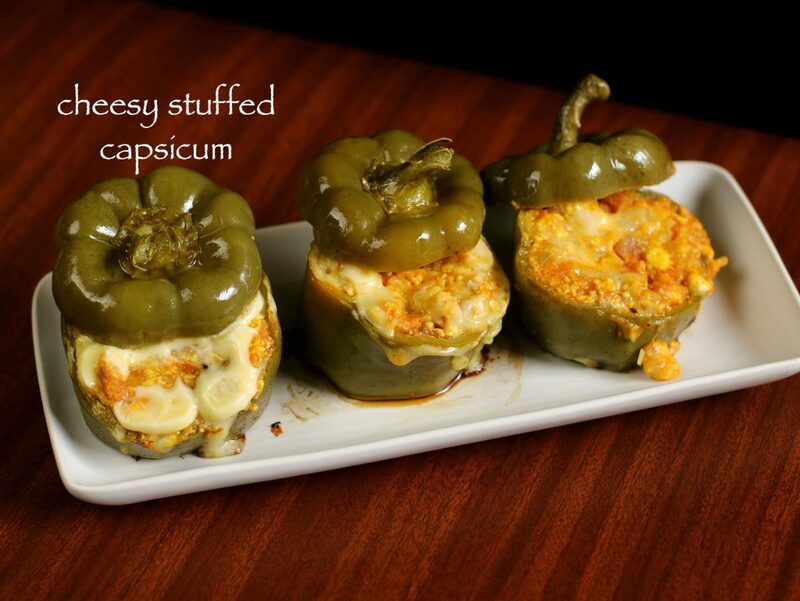 finally, cheesy stuffed capsicum taste great when served hot. I have tried. Nice recipe. Nice recipe…i think the capsicum are little overcooked. It should retain its color n shape n crunch. thank you for the wonderful dish ! thanks a lot Vani for the clarification. Is there any possibilities of replacing of potatoes.